We have had a very busy week. 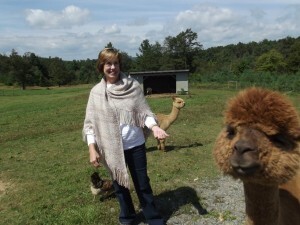 As soon as Linda and Sharla left for their trip to the fiber mill, the crias started arriving. During the 36 hours that they were gone, Mike and David managed the arrival of three new farm members. The first cria to be born was Peaceful Heart’s Virgil. This adorable little boy was born to Klarice and is our first cria from our new herdsire Maximus. It was a cold and foggy morning, so they quickly dried off Virgil and moved him and Klarice into the barn. Virgil is a beautiful dark fawn with a cute face. They barely had time to work with Virgil before, they turned around and found that Electric Snow had just given birth too. 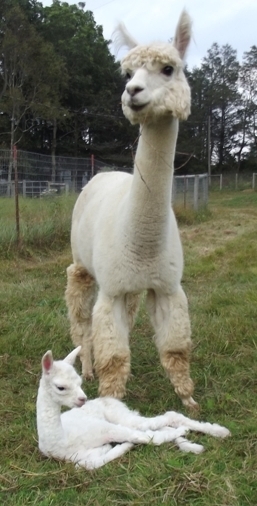 We have bred Snow to our herdsire Lord Tennyson three times because we love the crias they produce. For the first time, we now have a little girl from them. In keeping with the theme of Lord Tennyson poems for each of his offspring, we have named her The Princess of Peaceful Heart. 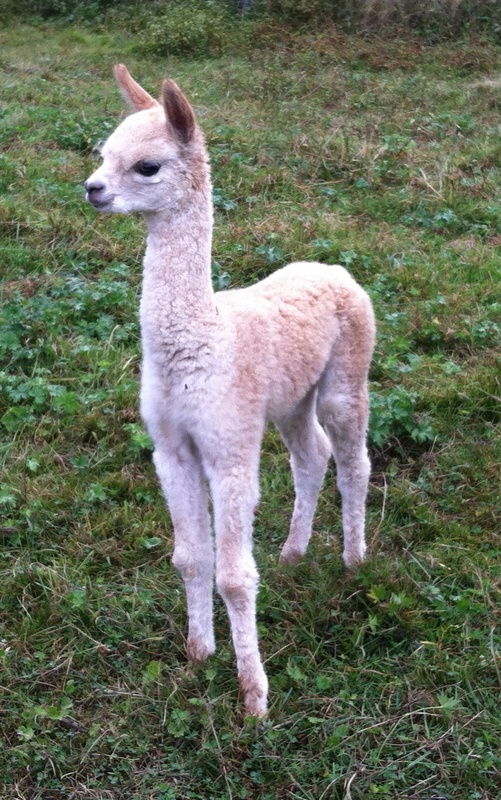 She has a lovely fleece and we expect she will develop as nicely as her brothers Timbuctoo and White Owl. 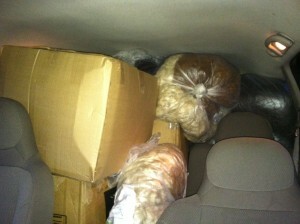 Mike jokingly told us to stay a little longer, and he would get all the crias delivered. Little did he know that Ruthie decided to take him up on that and the next day delivered a beautiful little girl. 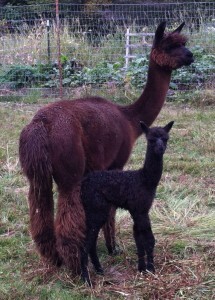 Peaceful Heart’s Gillian is our second cria from Maximus and is a true black like her sire. 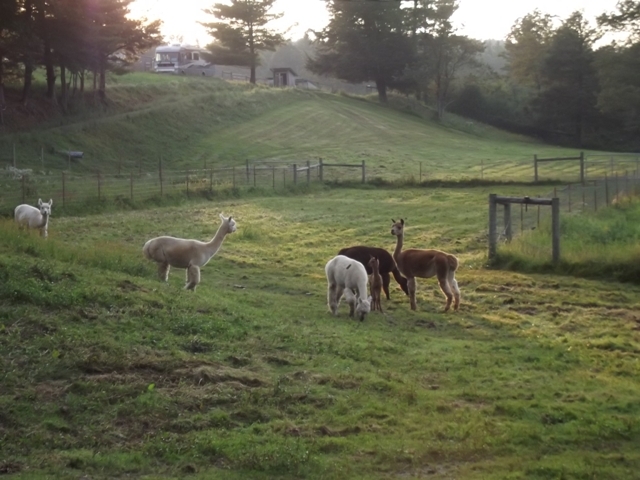 The crias have joined Augustine and Marcus in the pasture near the barn, and we invite you to come see them all. We still have one more cria due next month, but this week did see the majority of our fall crias born. This week, we (Sharla and Linda) took a quick trip out to Gallatin, TN to drop off this year’s fiber for processing and to tour New Era Fiber Mill. 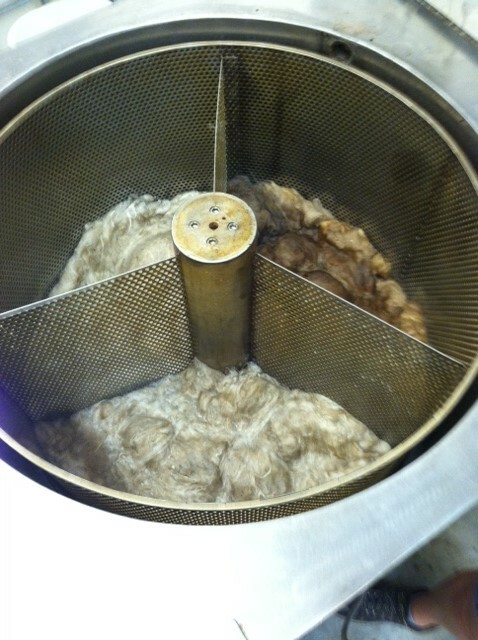 It was a fascinating tour led by Jessica, who took the time to explain each step of the process and introduce us to the talented people who work so hard washing and spinning our fiber into the beautiful yarns that we and others enjoy so much. The fiber process starts here on our farm with shearing during the first weeks of May (by David, with help from the rest of the family and friends). 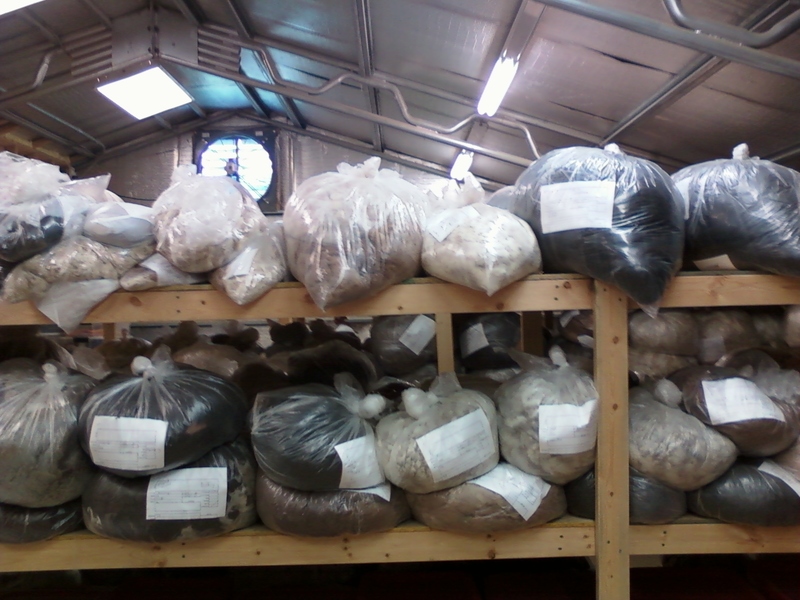 From there, each fleece is sorted by me (Sharla) to determine which fleeces should be combined or processed separately, whether they should be yarns or rovings, or now, as rug yarns. 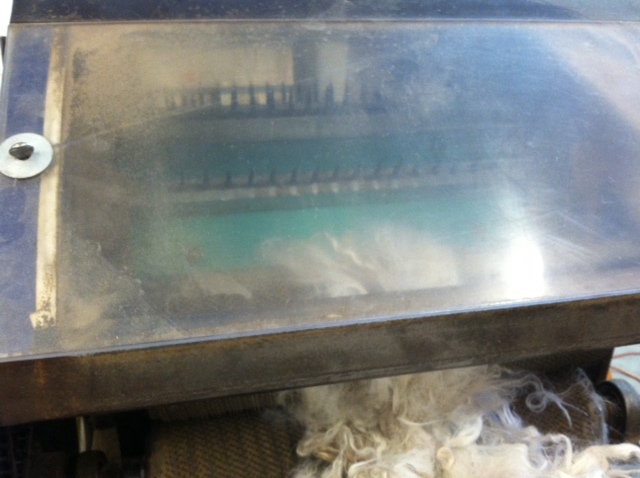 Once the fiber arrives, it is checked in and weighed. Jessica gives me a call to discuss what I want done with each batch and make recommendations for each fiber based on how it will process best. After that, it moves up to the waiting room as they work through their orders in the order they arrive. Right now, orders are taking about 3 months to work through the process, so we expect our yarns to arrive at the farm around the first of the year. When their turn arrives, our fiber will be tumbled to get loose hay and dirt out of the fiber, then washed to remove the remaining dirt. It is separated by hand into a thin layer of fiber to dry on trays. 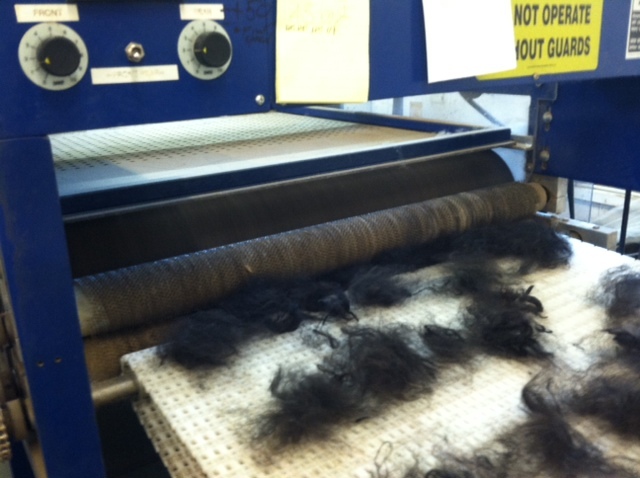 Once dry, it begins the trip through the machines. The rovings are drafted together and stretched thinner before being moved to the spinner where they are spun into single ply yarn. From there, they are plied together to form our lovely yarns. We usually get 3ply yarns in weights from sportweight to worsted, though this year we are going to get some bulkier yarns as well. 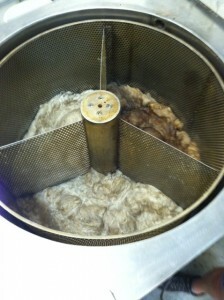 Once the yarn has been spun and plied, it is moved to a steamer which sets the twist and put onto cones. 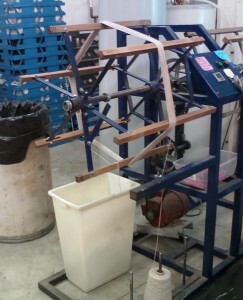 From there, our yarn will be wound into 4 ounces skeins ready to be shipped back and sold in our farm store. 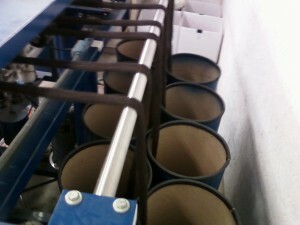 It was a wonderful tour, and fascinating to see each step of the process. I’ve included some pictures here, but have even more in an album on our Facebook page. (You can see them without joining Facebook.) We will be letting everyone know when the yarns arrive. We had a wonderful weaving class last weekend. 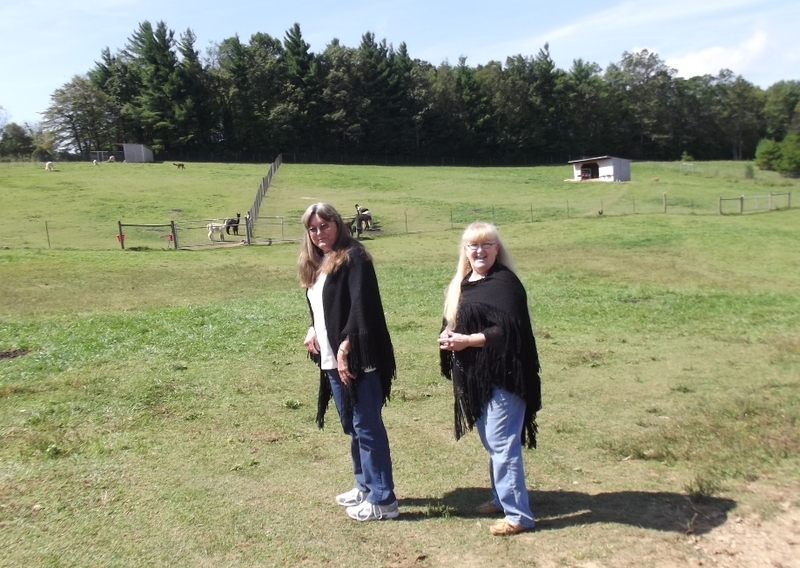 The weather was perfect and we had a lovely group of women join us to create beautiful alpaca shawls. We have posted more pictures from the class on our Facebook page (you can see the pictures even if you are not on Facebook). It is always so fun to see everyone’s shawls as they start to form on the looms, and we are amazed with how beautiful and unique each shawl is when they’re finished. We have one more weaving class this year to be held October 25-27, and a felted totebag or felted hat class on September 28. There are still a few spaces available in each. We hope you can join us. 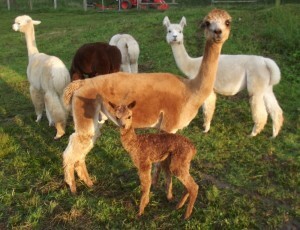 We are proud to announce the birth of a beautiful male cria. Peaceful Heart’s Marcus was born Wednesday afternoon to Marquessa and Powergrid. He is a lovely fawn color with fabulously soft, bundled fleece. In looks he reminds me a lot of his older half-brother Coriander. Marcus is Marquessa’s first cria, and we are thrilled with what a beautiful boy she has produced. 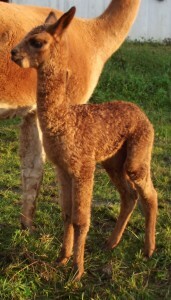 Marcus’ sire is our fabulous Powergrid, who has given us so many wonderful crias. We expect great things from Marcus based on his incredible genetics and fiber. We can’t wait to see how he grows. Augustine was very excited to see another cria in the pasture. He is spending a lot of his time as close to Marcus as possible. I know he is waiting for Marcus to get old enough to play and run around the pasture with him. We invite you to come out and see our newest farm members. We also have posted some adorable pictures of the two of them on our Facebook page (you can see them by clicking on the link, even if you are not signed up for Facebook). 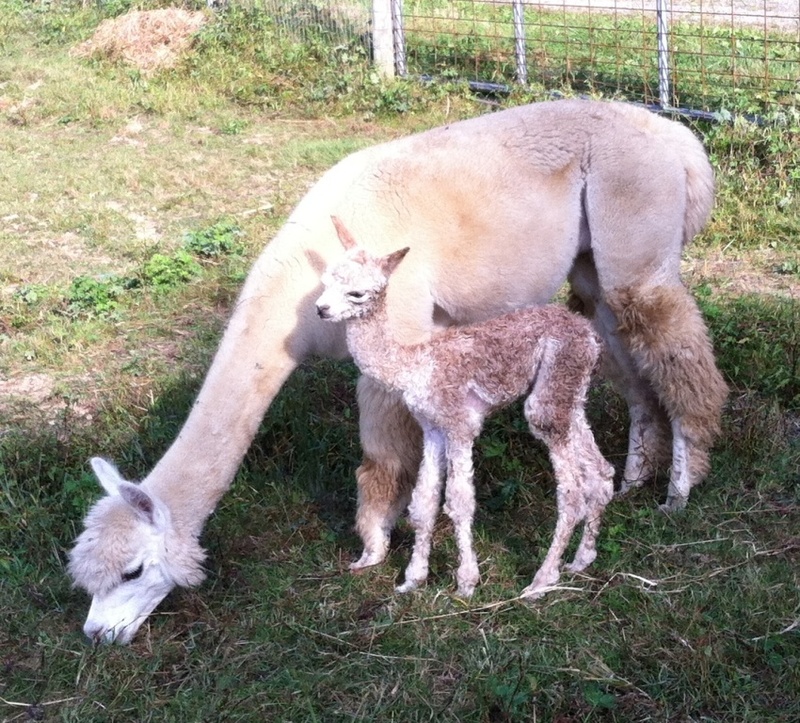 We are excited to announce the birth of our first Fall alpaca cria. Peaceful Heart’s Augustine was born on August 30, which was also the first day of the Hillsville Flea Market. This weekend is one of our busiest times of the year, so coming up with the perfect name took us a couple of days. We narrowed it down to two, and went to try them out in the pasture. Augustine made the final decision, ignoring the first name completely and running over for a kiss when we tried out the second name. So, Augustine it is. We wanted the perfect name for him because he is an impressive little guy from our foundation dam. Lystra was one the first alpacas we purchased in 2005. She has given us 8 incredible crias since then, including our herdsire Lord Tennyson and other beautiful boys that are now herdsires/junior herdsires for other farms; as well as two beautiful girls. 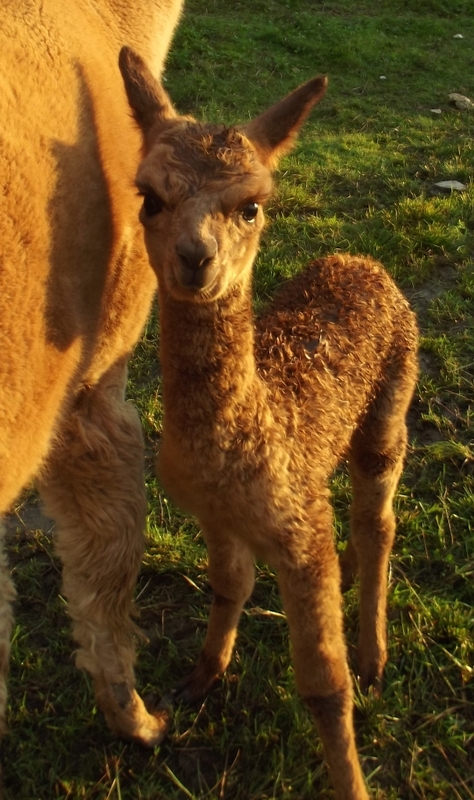 Our first cria born on the farm, Sunny, has gone on to give us 3 crias of her own and is now moving to a new farm to form a strong foundation for them. Lystra’s crias have all won ribbons in every show they’ve entered, mostly first place ribbons (and Tennyson an impressive Reserve Color Championship). 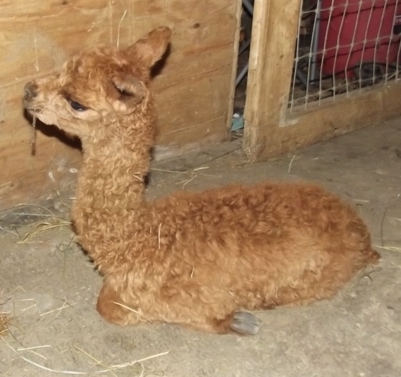 In addition to their show winning fleeces, Lystra’s crias all have incredibly sweet personalities, and Augustine is already demonstrating his sweetness. He is very curious about visitors, and is quick to come over to see us before he runs back to mom. Lystra is very proud of him. She has always been a wonderful mother. She keeps a close eye on her crias, but is happy to have them admired. For the first few weeks, she won’t let Augustine get too far away from her and she makes sure he is nursing well and often. Augustine’s sire is the fabulous multi-award winning Kubla Khan. Kubla is known for his incredibly dense fleece, which we can already seen signs of in Augustine. Kubla stayed at our farm last year, and we are thrilled with the beautiful crias we have gotten from him. Everyone of them looks like a dense fleeced winner. 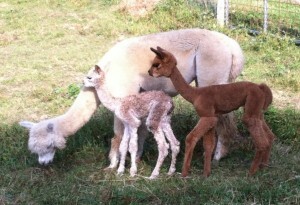 Our spring crias that share a sire with Augustine are Earlyne, Ninja, and Summer Love. 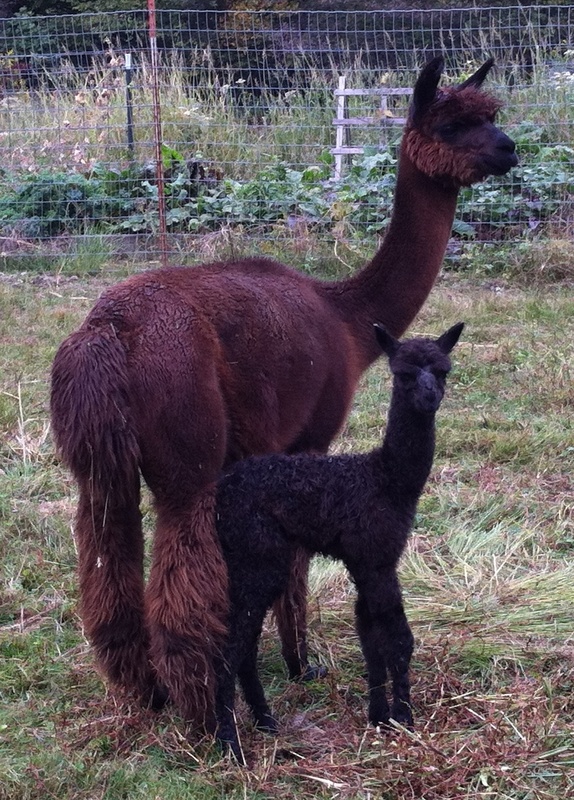 We are looking forward to the births of the rest of the fall crias (as is Augustine). 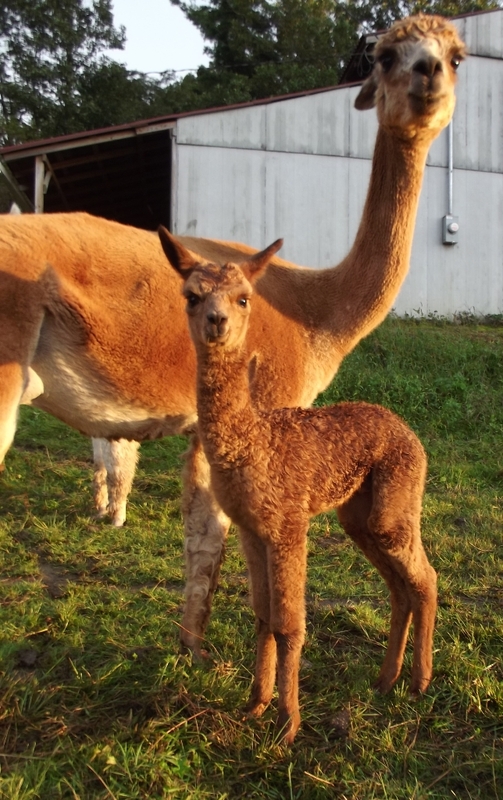 We hope you will include us in your fall travel plans if you are headed to the mountains, and come see our new crias. The days are still warm, but the nights and mornings are cool and we are beginning to see hints of color in the trees.